I am in love with this flavor combination. 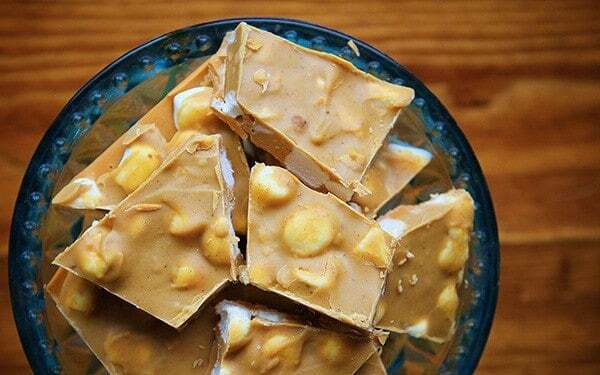 I have made the Butterscotch Peanut Butter Cake and the Peanut Butter Marshmallow Butterscotch Pizza. This is one of the best ‘chocolate’ barks I have had, and the fact that it never stays around longer than a day in our house is another good indicator of its deliciousness. I tend to not make a ton of chocolate bark because, gasp, my hubby doesn’t like chocolate so it means I will have to eat it all. Which is not a problem, per say. Then I realize I have to write a blog post so I dream up the most over-the-top and ridiculously fattening recipe known to man. 1. It’s super easy and quick. 2. 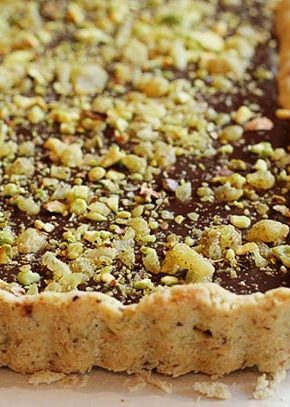 It tastes amazing and is not your typical chocolate bark. 3. If you bring it to the kid’s school or work or church people will want to be your best friend. 4. If you share it at cookie exchanges you will be the most popular person in ALL THE LAND and someone might even produce a crown for you to wear. Over a double boiler (medium sauce pan with about an inch of water set to simmering and a bowl placed on top of the saucepan) pour in 1 bag of butterscotch chips and 1 tablespoon oil. Stir occasionally until mostly melted and then remove from heat. (about 2 minutes) Continue to stir until all melted then pour butterscotch into a parchment lined 9x13 pan. Using an offset spatula, smooth out butterscotch until even and flat. 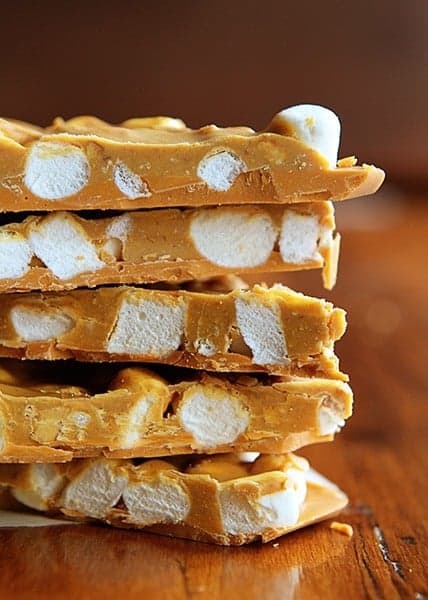 Gently pour marshmallows onto butterscotch and make sure they are evenly covering bottom. Place peanut butter chips, peanut butter and oil on bowl over double broiler. 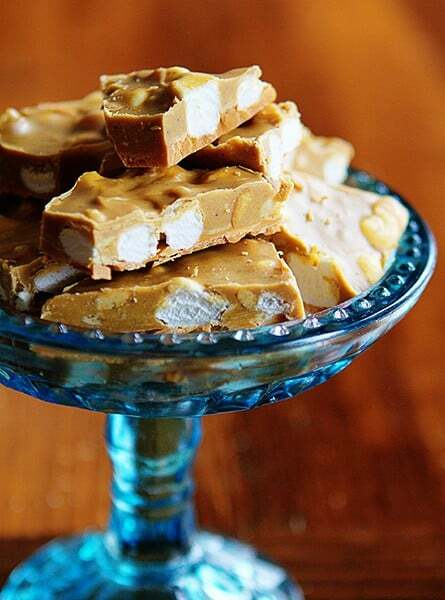 Remove butterscotch marshmallow mixture from freezer and pour peanut butter mixture over top. 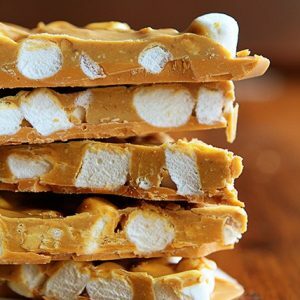 Using offset spatula, spread peanut butter mixture evenly over marshmallows. When ready to serve, remove from refrigerator and lift up sides of parchment to dislodge from pan. Cut into chunks (using a knife works best) and serve at room temperature. Here you can see the beautiful bronze butterscotch bottom layer and the chunky peanut butter layer on top. 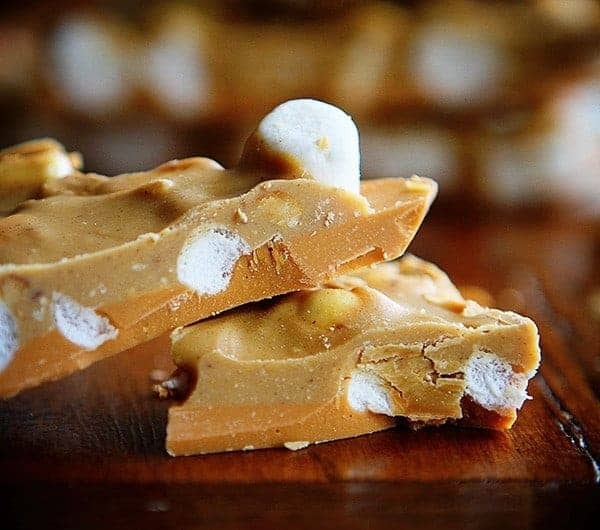 Peanut butter and butterscotch chips do not melt quite as nicely as a high quality chocolate bar and can even be stiff and thick. I added the oil to help bring the chips to a more spreadable consistency. You can use more or less depending on what consistency you prefer. I really prefer the double boiler method for this bark and do not recommend the microwave. In the end it doesn’t save time and can often result in your chips being ruined. 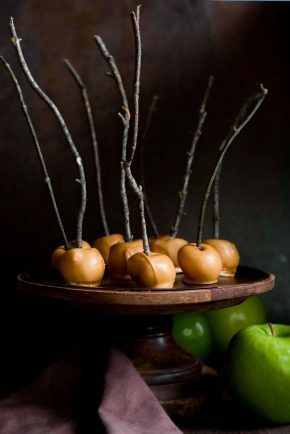 Man is this delicious… and quite sweet so you will eat less! At least, I keep telling myself that. How beautiful it looks! 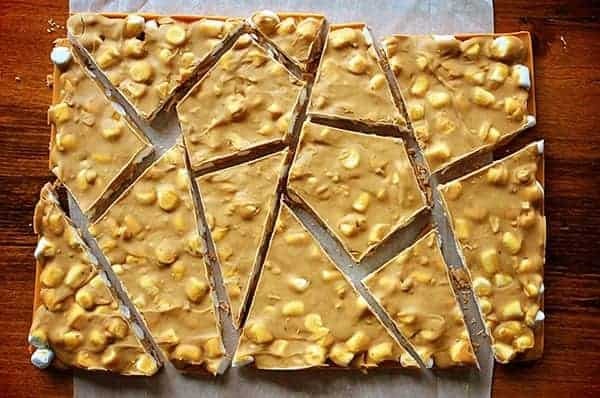 I honestly have never tried the butterscotch/peanut butter combo but looking at this recipe I am definitely willing to give it a try! These are prefect for Christmas gifts! 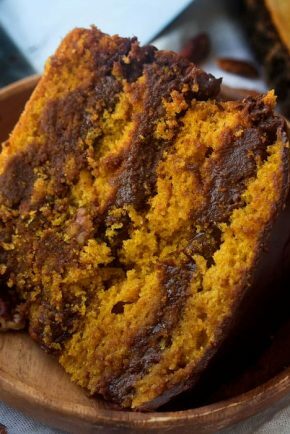 I like how simple yet yummy this is – those are always the best recipes. Wow, love the flavor combination that is happening here, and in a bark none the less! 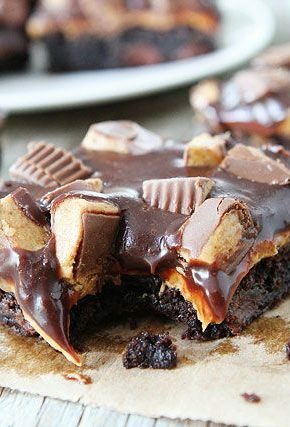 Totally need to make this! Yes, yes, and yes again! 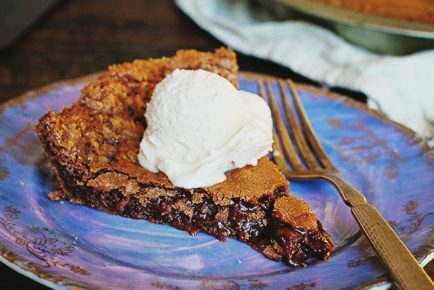 I will probably eat the entire batch but that’s not stopping me from making this recipe. My mouth is watering. First of all… you make me laugh so many times, just reading your recipes!!! I just recognize myself in your stories. Thank you for that! 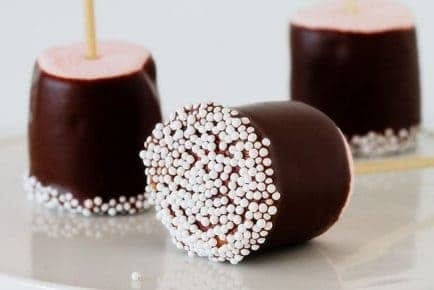 Can you help me with this recipe? I live in the Netherlands and peanut chips or butterscotch chips are not available here… do you have a sugestion what I could use instead of? … I love it Thank you for that! !